Elemental ~ Jewelry With Substance: New Group Gift at Elemental Jewelry! Well, I've been agonizing over what to offer for an April group gift. 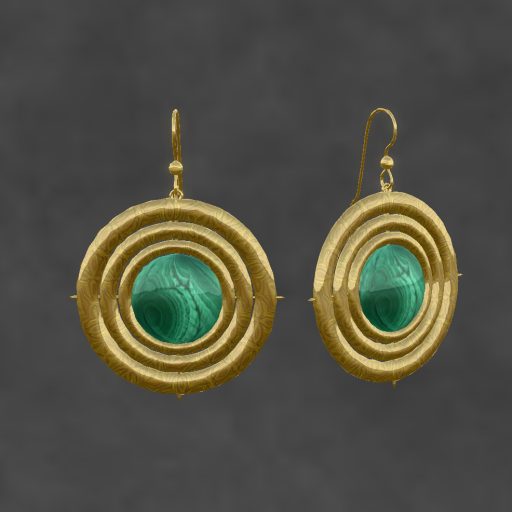 Then, my friend Azucena sent me a photo of herself wearing the Elemental April Fool Hunt gift--a malachite & gold pendant--along with a set of gold Elemental earrings. That set the neurons firing! She needed a pair of earrings to match the pendant. So...Ta Da! Come on down Elemental Jewelry Group Members! Grab a pair of earrings and then find the April Fool Hunt prize.